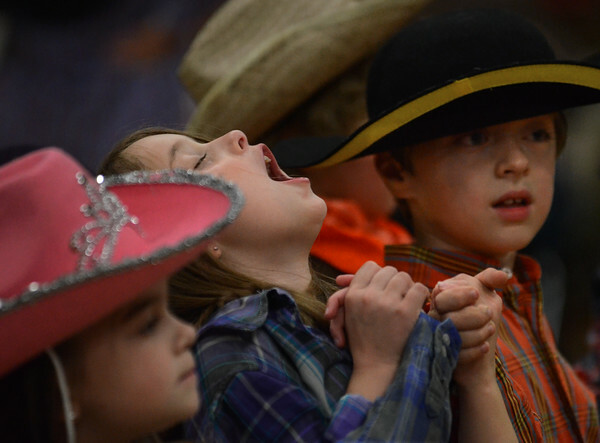 Second grader Riley McKinnon tilts her head back and hollers during the second-annual Hoedown Night on Friday at Essex Elementary School. Beside her are classmates Jenna Shanks, left, and Anderson Pierpan. The students, who have been studying folk music and dancing in Rich Carpenter's music class, were joined by parents and grandparents at the event, which featured music by Daisy Nell and Captain Stan and the Crabgrass Band.